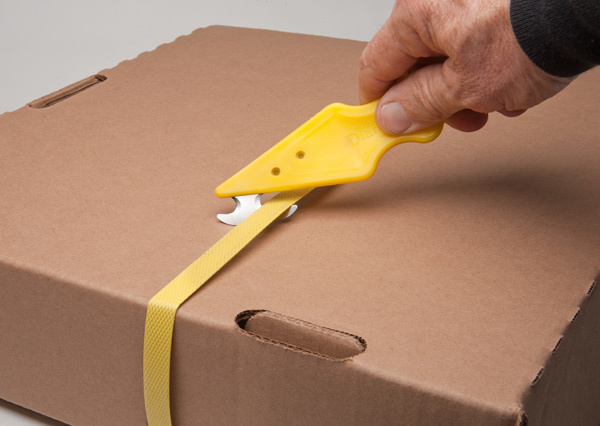 The versatile and safe cutting tool for corrugated boxes, ties, twine, bands, and shrink wrap. 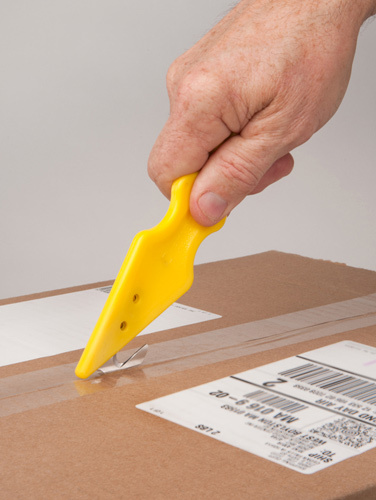 Apply slight pressure with tip of the blade to create a starting point for safely opening your box. 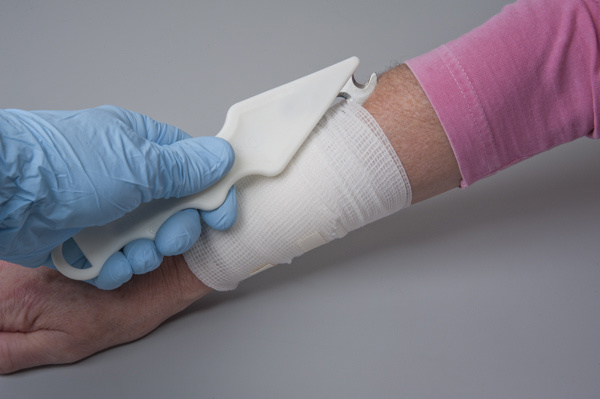 Strategically placed top blade allows easy upwards cutting. Over $1 billion dollars in food and prod-uct are damaged each year due to slicing the top of the box with a standard box cutter or knife. Safety engineered to protect hands. Durable silicone coated stainless iron blades for extended use. Each blade has a concave shape for an easier cut. Ergonomic handle for ease and comfort in use. Packaging and product available for private label. With multiple color options. Download the Diamond Pro 2 sales sheet.